Burq Off! a show by Brooklyn native Nadia Manzoor is a hilarious commentary of a young girl’s search for identity in two opposing cultures: modern London and her Muslim upbringing. The show runs March 18-21 at Small World Music Centre, 180 Shaw St. Studio 101 in Toronto. Photo by John Keon. If you’re a buttoned-up prude easily offended by people that rip-off the band-aid on religion and hypocritical zealots who preach it, stop right here. Don’t bother reading this further. Nadia Manzoor is an actor, artist, activist and rebel. Her upcoming show Burq Off! running at Small World Music, 180 Shaw St. in Toronto, March 18-21 has elements that will likely: a)make you squirm b)pray for salvation c) prompt you to speed dial the religious/moral police D) remove the cobwebs from you mind and eyes E) Provide a compelling, yet hilarious commentary of the changing times and religion’s inability to keep up. The show’s brand of humour will either shock the audience into silence or tickle their funny bone until they are a helpless mass of mirth sprawled on the floor. Nadia, a Brooklyn native landed in North America via Karachi, Singapore, Dubai and Hertfordshire, U.K. pokes fun of misogynist men, antiquated customs, silly rituals and our insecurities about the west. In Burq Off! Nadia pulls off 21 characters: a stern father, a saucy English friend, Islamic studies’ teachers and few dozen others. The show reveals the cultural tug-of-war of a young Muslim straddling two cultures that are completely at odds with each other — the modern woman versus the dutiful Muslim daughter. 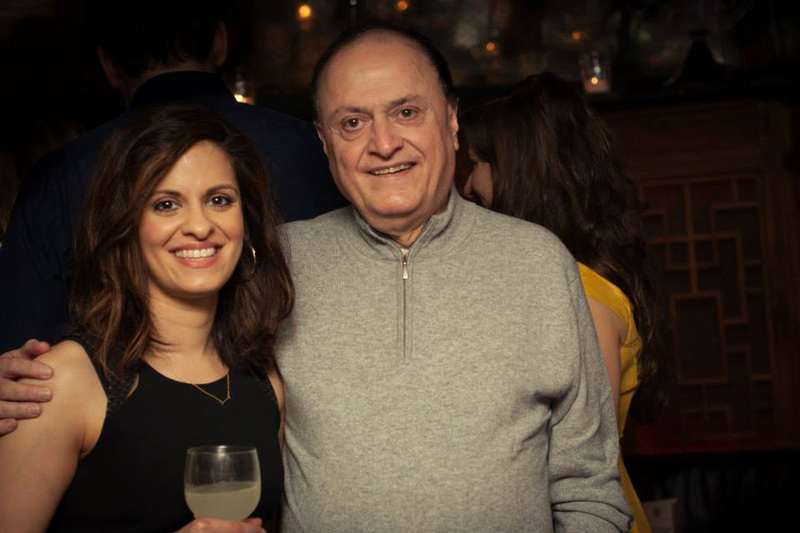 Nadia Manzoor with her Dad, Parvez. Nadia’s one-woman show Burq Off! pokes fun at her father’s conservative ideas which often clashed with her own modern views. The show runs March 18-21 in Toronto. Submitted photo. A witty banter between Nadia and her father Parvez many moons ago describes the premise of Burq Off! When Nadia was old enough to realize the world was hers for taking, she announced to her Dad she wanted to become an astronaut. “Request denied; God is great. Who will cook for your husband?” her Dad rued? Growing up in a predominantly white neighbourhood and attending a Christian school meant a constant tussle and confrontation at home. In a world torn by religious strife and unnecessary chest thumping, Nadia’s show brings a fresh and necessary perspective to the stale debate about religious freedoms. Humour was Nadia’s coping mechanism growing up. It has since become her livelihood, arsenal to deliver punches and life’s calling. Burq Off! 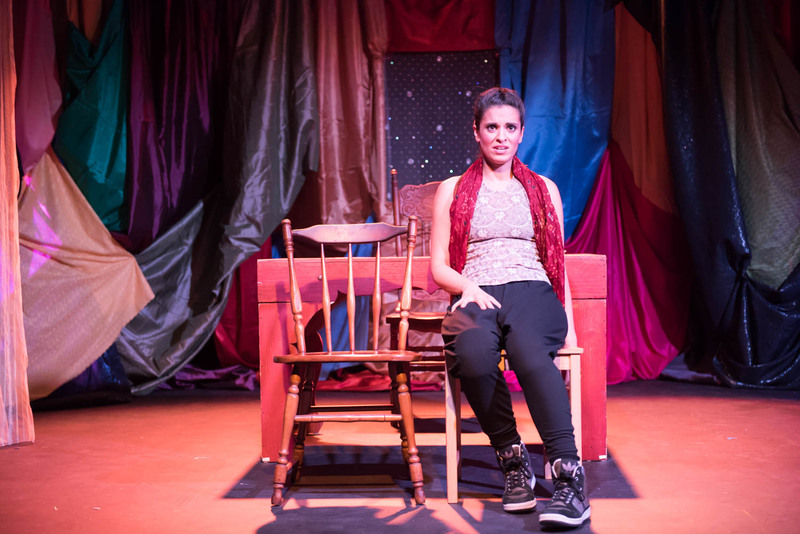 a one-woman show by Brooklyn native Nadia Manzoor who plays 21 different characters will run March 18-21 at Small World Music Centre, 180 Shaw St. Studio 101 in Toronto. Tara Elliot, the director and one of the co-producers, hit it off with Nadia when their paths crossed. 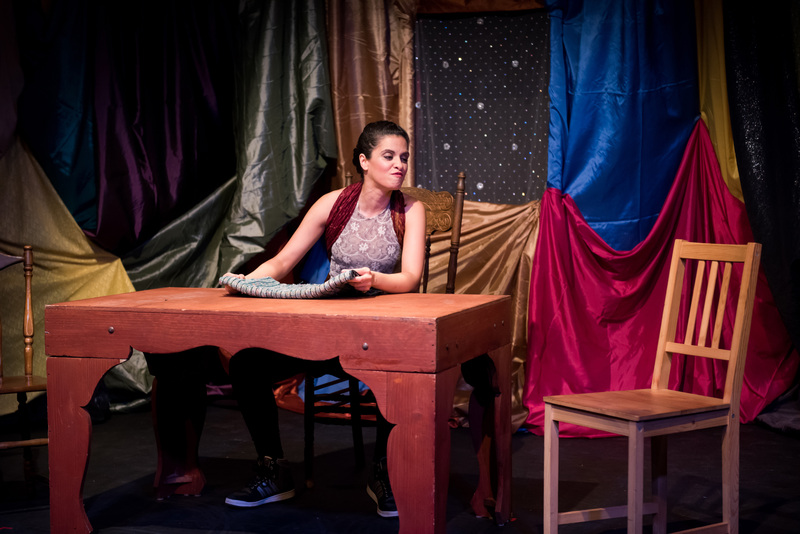 As a one-woman show, Nadia carries Burq Off! on her shoulders with relative ease, but to make the show as an interactive experience, Tara had to make sure Nadia’s storytelling was enhanced. Paprika Productions will stop by Toronto for shows at Small World Music, 180 Shaw St. in Toronto from March 18-21. Two matinee shows have been added now. Tickets cost $25/person and can be purchased here.